Discussion of Strategic Plan: The plan was emailed to everyone last week. We want this to be a living document, to be utilized for the next 3 years. We want West Bay to be a dynamic and inclusive club of choice! There was good conversation and amended approval of 2019 strategic plan was passed by the present members. Sarah and Abe presentation from Satellite Club: Presented short autobiographies of members. Duck Derby Counting, need 10 people at George and Jan’s, Wed at 6! And got our second duck suit! E Waste is Sat April 20, working on flyers, and will provide you the information you need for speaking points for new sponsors! 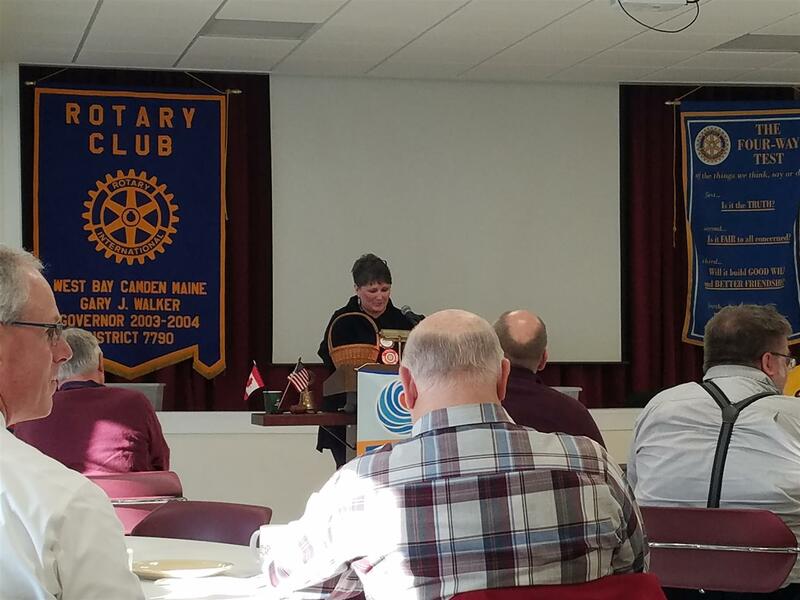 Kim and Ken went to PETS (President Elect Training Seminar) last weekend, new signage includes: People of Action and Rotary Connects the World! Leamon, sponsorship assistance needed, please see Leamon for ways to help!